KODDOS Hosting service is good to use for big business who have very high confidential data. You can try their services as they are offering multiple facilities like server management, DDOS protection etc that no other companies are offering, Hope you would like this article if you have any suggestion to improve the article or any query please ask in the comment section below. People are getting more aware about the use of the internet. There awareness towards the internet and online presence have a lot of benefits but with these people, one more thing is increasing in the same proportion that is Spam attacks and hacking attempts. According to a study, hacking attempts and spam attacks increased by 5 times as they used to be before 5-7 years ago. Hence a certain level protection is essential in order to safeguard your websites and data that represents you online. Here in this article, we have decided to review a Hosting service named as KODDOS, It also provides you protection against DDOS Attacks and other spam attacks. KODDOS hosting services offer offshore hosting services. Using offshore hosting services one can host the hosting in the location of other data centres irrespective of other data centres. Offshore hosting is used for hosting content related to adult websites, gambling websites etc which are not allowed in a specific geographical region. They claim as their offshore hosting services as one of the best hosting services available in the market. They are offering DDOS Protection to their customers in order to protect the websites and client data. DDOS Protection is a priority for hosting providers, Data Centres and the websites that are having confidential data like government websites, network service providers etc. DDOS Protection helps you in securing websites from any kind of spam traffic that can cause great loss to your business if not handle properly. Their prices are affordable according to their services and features they are offering. Along with this, you can make monthly payouts which mean if you are not satisfied with their services you can discontinue their services anytime. It is one of the very attractive features that is offered by few companies only. They are providing complete spam protection to their users. You can get real-time spam protection that would help to safeguard your websites from any kind of spam attacks. With their spam protection methods and techniques, they will immediately inform you in the case of any kind of spam attack or virus attack and take necessary actions to safeguard your websites immediately. Their hosting services offers 99.99% uptime guarantee that is great in itself. It is maximum uptime guarantee offered by any hosting services. Uptime is essential for very reasons like improving user experience, SEO perspective etc. 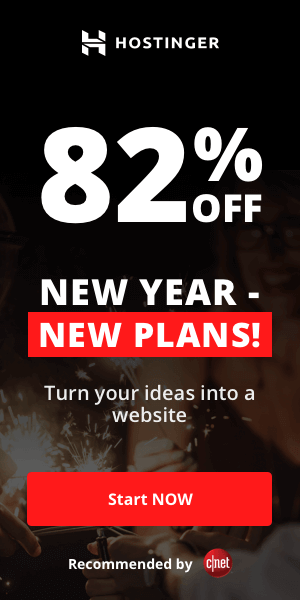 Along with that with 99.99% uptime, there are more chances of conversion on your websites. In the case of any trouble or problem, you face in any of their service you can contact their team 24×7 by support tickets, chat support and email. There are very few companies that provide 24×7 live chat support and it is one of the basic necessity for users. 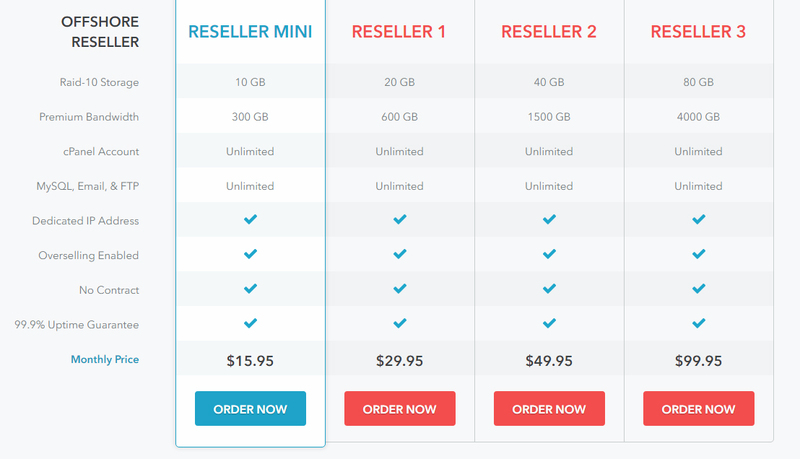 They are also offering VPS Hosting services, Their VPS Hosting plans start from 10$ in a month and goes up to 60$ per month. All their VPS Hosting plan are secured from DDOS Protection. It is more than an additional benefit for you. For More details about their VPS Hosting services you can click here or you can check the image given below. SSL certifications is also an important factor for your web security. SSL Certificates keep all the transfer of codes in an encrypted form that makes the things for spammers and hackers. Along with this search engines like Google, Bing etc. give priority to SSL certified websites. SSL stands for secure socket layer and as clear from name SSL certificates provide an extra layer of security to the websites. There SSL Certificates cost $30 for a year. For more details about SSL Certificates, you can click here. 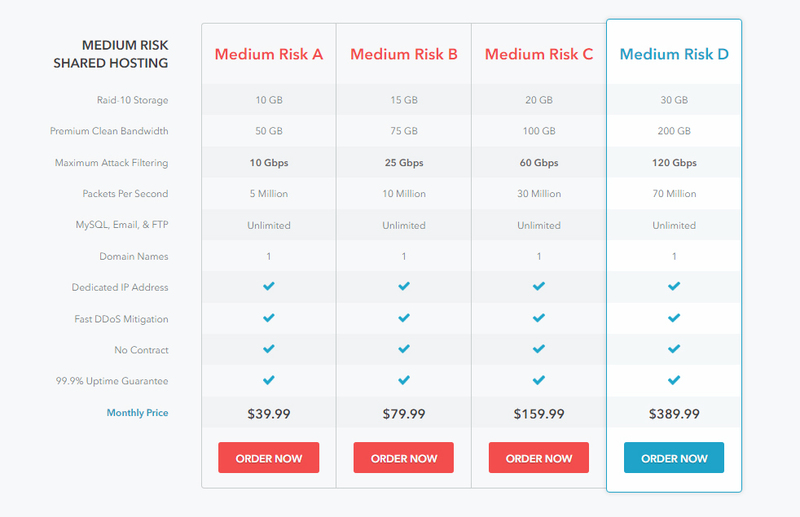 Their Medium Risk DDOS Protection plan start from $39.99 and goes up to $389.99 for More details about their medium risk DDOS protection click here or you can check the image given below. KODDOS Hosting service is good to use for big business who have very high confidential data. Though it is costly for small scale business. You can try their services as they are offering multiple facilities like server management, DDOS protection etc that no other companies are offering, Hope you would like this article if you have any suggestion to improve the article or any query please ask in the comment section below. Do not use their service. They are scammers who do not return money for poor quality anti-ddos service. 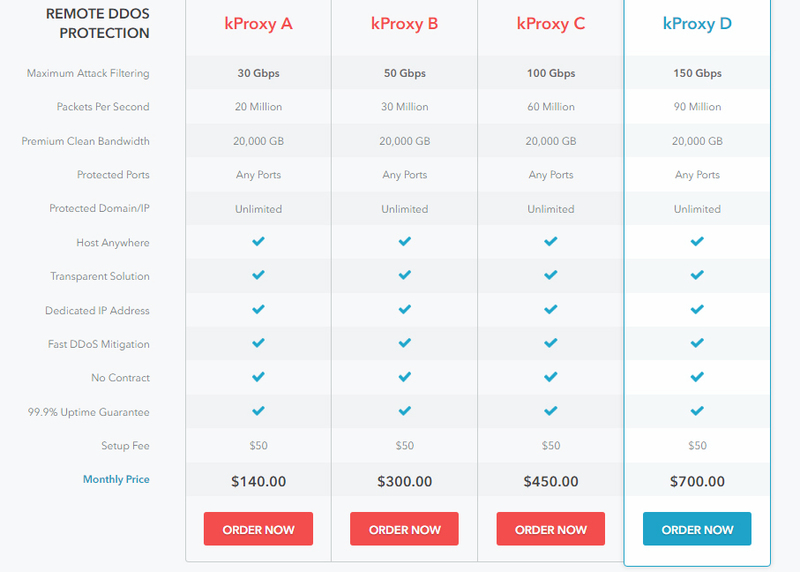 All of Koddos web host work is based on quality. 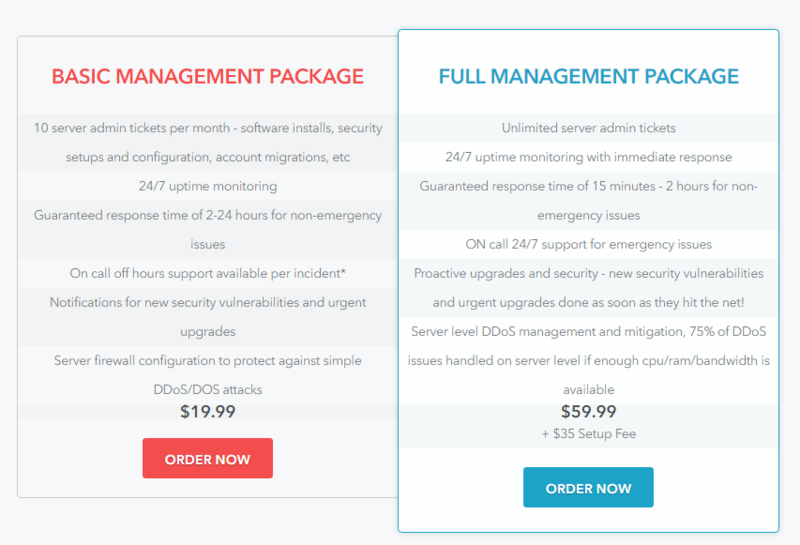 Really perfect ddos protected web hosting provider. 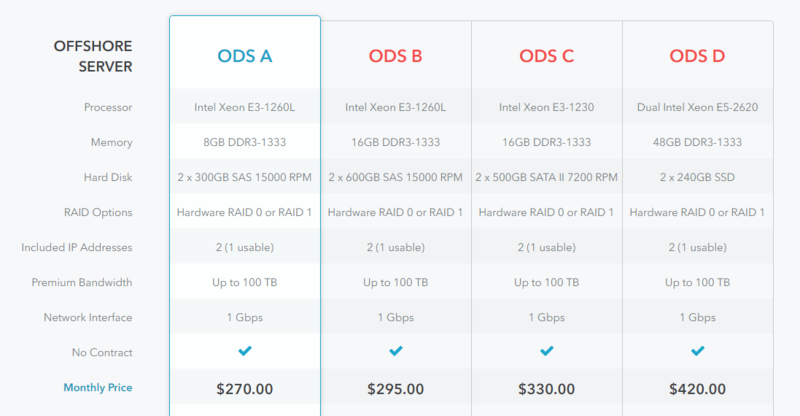 The pricing is very good, especially for what you buy for it. I am glad to deal with them. 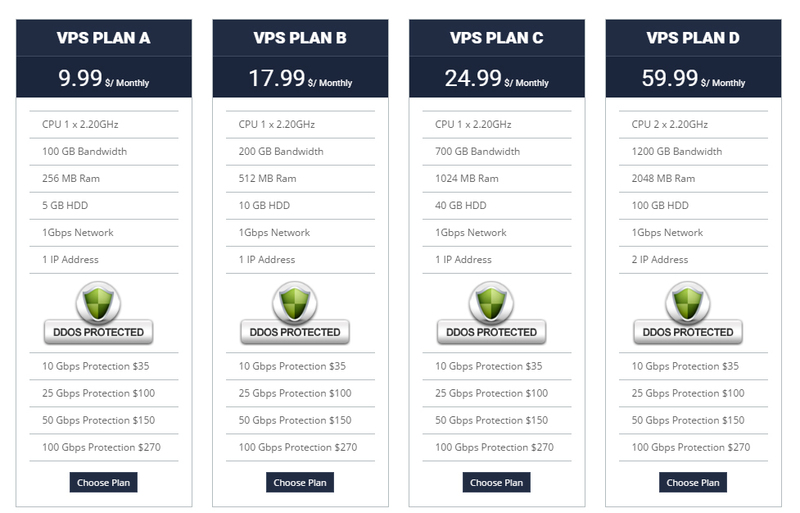 Must say Koddos is great hosting provider if mention about price, performance, and features. Their ddos protection is very good in comparison with my previous host. Most of the issues were resolved quickly. Email service has good spam filtering. It is just a great host, i started using it and it has been great for me. TOP offshore ddos protected web host – Koddos.net is perfect. My web site is always up, that is to consider great network uptime they provide. Their technical support was very helpful when I needed to consult them in order to discuss different technical issues. They have great polite staff and that is why I was pleased to communicate with. It is really good ddos protected offshore web host. They are providing me with the highest stability on their fastest servers. Contacting their support I always get quick and polite responses on the high professional level. Overall, Koddos is a top Offshore hosting provider. I recently had a very good sale chat experience with one their koddos.net techs. Via the koddos Chat, he was able to get a nice discount coupon code that gave me 20% off the price. In all my months of chat-based support, I have received efficient service with accurate information. Not only were their support able to get me signed up but they also were able to answer my technical questions regarding transferring over my existing websites. I look forward to continued great service with Koddos. Koddos web host is truly the best offshore hosting company on the web!! The support and service is second to none. The live, on demand customer service and tech support really blew me away. The representative was more than helpful, and made the experience enjoyable. I can count on them for 100% uptime, fast speeds, and an easily manageable backend. (often seconds) and the problem is resolved quickly without hassle. Thanks for your great service Martin and Marinkovic!. I am really glad to deal with koddos and their professional offshore hosting services. When I need support, it is quick and takes care of the issue with no attitude. I am not an IT guy so this is important to me. Their support works 24/7. My sites are always online and I am happy that my visitors are satisfied with the speed connectivity. Top web host to deal with. highly recommended. 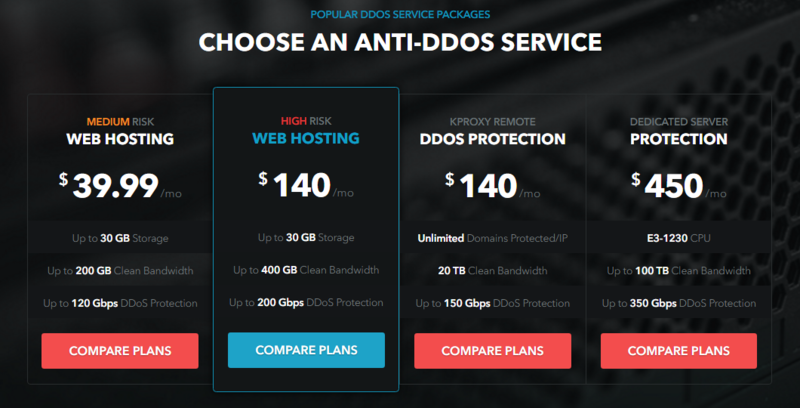 I have been using koddos ddos protected offshore dedicated hosting plan for over three months and recently moved to another, more resourceful, offshore dedicated hosting plan. In all the months they have been very amazing and I have enjoyed every service given. They respond to tickets, they are ever available to chat and deal timely with any issue. Everything works fine – thanks for the great service. I’m very pleased with the uptime, support, and decent price! What you can’t do with the touch of a button, you can contact your wonderful staff with. I’ve been hosting with Koddos for five months now with one site and a few months with a second site. I also noticed some little interesting programs you have hosted on the site helping your users do the little extra perks with their sites. My site relies on PHP and MySQL; within your control panel, it’s easy to set everything up. I just wanted to say thank you, and glad to be a customer of Koddos. I have had the pleasure of using the services of Koddos offshore web hosting in Hong Kong for almost 10 months now. In that time I have been both professional and friendly. I find their service to be second to none. They are always there to help even for what may be the most trivial of problems. Their help is cheery and thorough. All that coupled with one of the most competitive rates in the industry. What more could anyone ask for? As someone who buys and works with a wide range of web scripts and components throughout the year, I can honestly say that I’ve never had such great support as that provided by Koddos. Ticket replies are incredibly fast and informative and they’ve never failed to resolve an issue. Highly recommended! The quality of the code is also excellent, packed with features and well documented. Koddos is my first offshore host in Hong Kong and it’s been a great experience. I’ve seen the site go down a few times (used for 5 months) but it’s usually quickly back up. 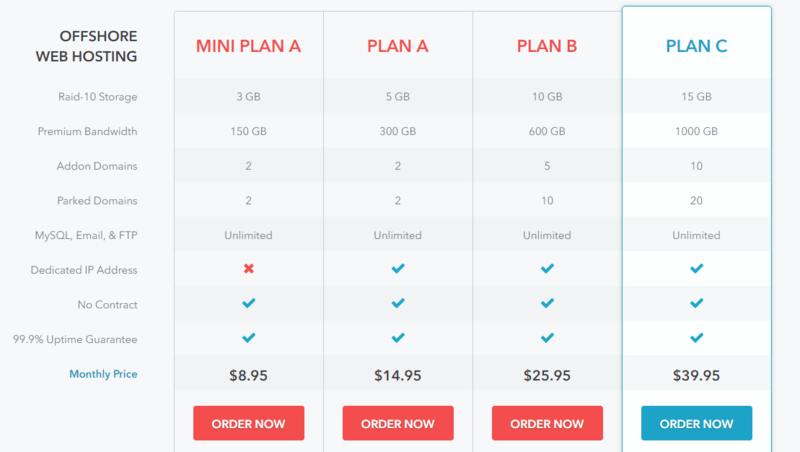 For $20 you get a VPS hosting-plan packed with features and accessibility with unlimited disk space, unlimited transfer and 6 domains possible (1 included in price on top). A great plus that I have ddos protection. In my opinion this is unbeatable. So far is their support, if you should once need it. I’d like to share my experience dealing with koddos offshore web host. I’ve been hosting my web site since September 2018 – everything works like a lock and I’m happy. I have no headache with this decent host. Their support and service has been excellent, even to the point of a courtesy e-mail to enquire if any help or advice can be given. Prompt replies are given to any queries and the use of live support over MSN is extremely helpful. All in all, this is an amazing hosting provider and I will continue to use Koddos offshore VPS in Hong Kong for my hosting for some time to come. If you are server is fast, if you are getting help in time that means that you are with good hosting provider. So I’m. I have offshore VPS account in Hong Kong with Koddos and have all the stuff described above. More then enough for me. Fast, reliable and friendly stuff. Well designed with fantastic performance servers. Affordable prices. I do not believe I need more. I’ve been using Koddos Ddos protected offshore hosting to host multiple websites in Hong Kong, including a couple of my clients. They’re servers are reliable and fast for their ‘shared’ hosting classification, and overall everything works great. They are good at what they do, it’s not overpriced claptrap. Uptime is great – thanks them a lot. I’m also happy with the performance and reliability of the service. I was pleasantly surprised by the backup tools you provide which I did not expect at all. I am so glad I found this review site! And because of it, I’ve decided to switch from my previous host (because of much downtime) to Koddos. Service is unbelievable. When I read the reviews, I didn’t believe it, but I literally get an answer just minutes after I’ve e-mailed them… and this is even before I’ve placed my order! And everything was really set up in an hour. Go with this professional web host because you will not regret a thing! I’ve had a few outages, since I’m a total beginner at this, and we are in a time zone at least 8 hours different from Koddos offshore vps hosting. But the answers were there quick as lightning, every time. Recommend their hosting to others cos their work is great. 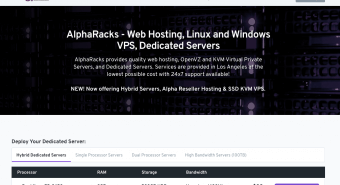 When running a server and having several of my clients on there, it is very important issues gets resolved quickly and these guys have it down, great job Koddos offshore vps hosting.